Rumors continue to suggest that the University of Utah is reconsidering its nickname and logo. A columnist provides some historical perspective. By Brad RockUtah got permission years ago from the Ute tribe to use its name. It also got the OK from the NCAA, which threatened to withhold privileges from schools that maintain racially insensitive nicknames. Utah's endorsement by the tribe spared the university such a fate. At the same time, the debate never ends. North Dakota is about to drop its Fighting Sioux nickname, though Spirit Lake, the Sioux reservation closest to the campus, supports the name. Illinois (Fighting Illini), Florida State (Seminoles) and Central Michigan (Chippewas) have all had issues. It's not as though Utah has been inert in the nickname debate. It wisely switched from Redskins to Utes long before political sensitivity demanded it. Miami of Ohio had the same nickname and didn't make the change to Red Hawks until 1997—26 years after Utah got the message. 1) Utah's previous name was the Redskins. This casts the name "Utes" in a new light. 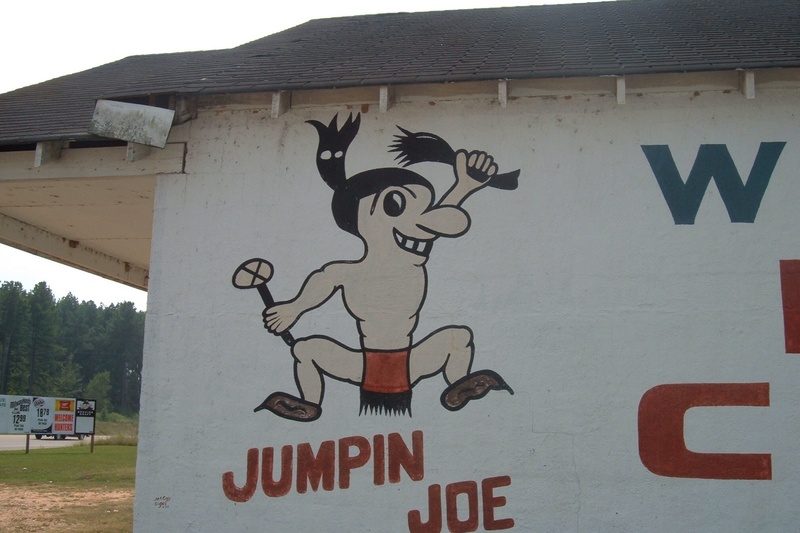 It was never about honoring or embracing Indians, or the school wouldn't have chosen such an insulting name. Rather, it was about objectifying them as dirty, primitive savages. 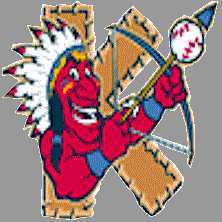 That may be okay for a football team, but it's not okay for the Indians the team is named after. 2) The "Utes" name is only 40 years. It's not like defending a centuries-old tradition at Oxford or Harvard. The school changed the name once and nobody suffered or died. It can change it again. Note the stereotypical headdress in the display case below. It's more evidence that an Indian nickname is about celebrating the stereotypes--the wild, primitive, savage aspects of the mythical Indian. 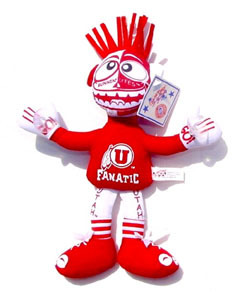 A Utah Ute doll confirms what the school thinks of Indians. 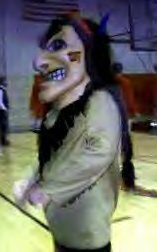 An Indian is a wild 'n' crazy "redskin"--a "fanatic" or madman. Message to opposing teams: "We'll crush, kill, and destroy you! We're merciless Indian savages!" No wonder Osama bin Laden was codenamed "Geronimo." It's part of a continuum of stereotypical beliefs about Indians. Geronimo = Indian = savage = redskin = Ute = fanatic = terrorist = Osama bin Laden. For more on the subject, see Utes Abandon Drum and Feather?